Happy Saturday! Lots of pretties that I’m showing today beginning with this new dinette set by Loft & Aria at Collaborr88. 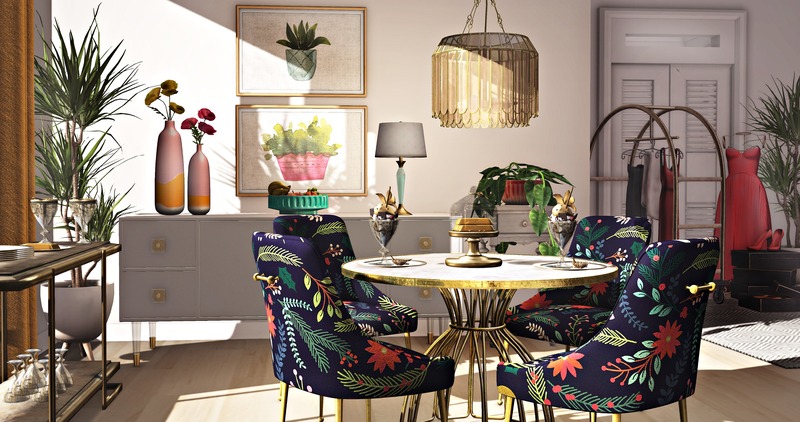 I love the many color options for the chairs. I usually go for warm and neutral colors, though I loved this floral blue and you will find this and many more. Granola has an eclectic set of small table and lamps at Soiree. Three color choices for each, so you really ought to visit. Lastly I’m showcasing items from this final round of Builder’s Box. If you click the link it will give it’s announcement, but you can find all items at the main stores. This round was Fame & Fortune so you get a lot opulence and fancy. Dahlia and Raindale both participated with some fantastic decor. Granola. Ambrosia Lamp. White Polka SM. Brass. As I was driving into work today I was thinking how fast the time is going. It’s the middle of April already! 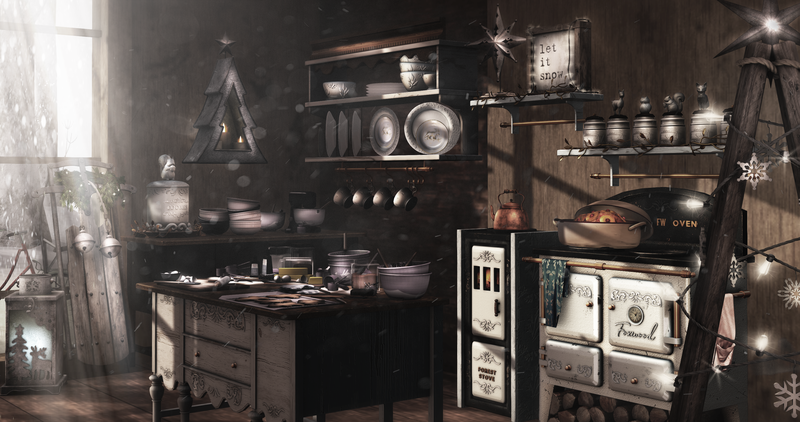 In the meantime it’s the here and now and I’m showcasing quite a bit today, most of it you can find at this round of Collabor88. Granola. The Royal Treatment Trophy Hers. Granola. The Royal Treatment Crown & Pillow Hers. Granola. The Royal Treatment Crown His. It’s a short week and a long to do list. This month feels like its going way too fast. March will be here before we know it and it’s going to be a busy one with some extra events not part of the usual monthly lineup, so be prepared for a rush of posts. 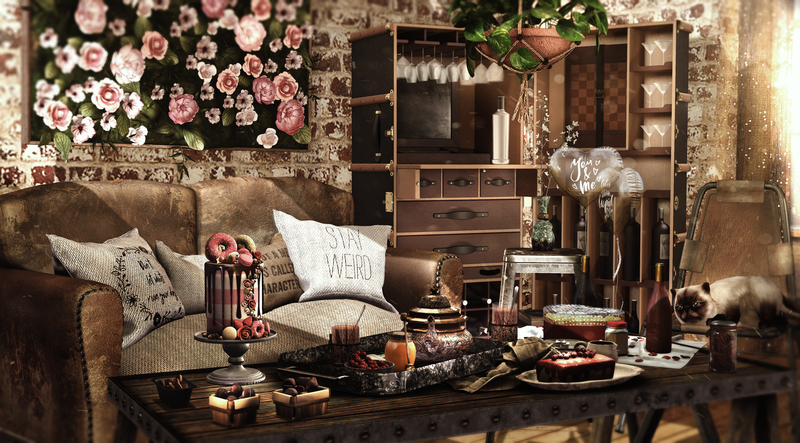 Today’s scene is showcasing more items from this month’s subscription of Builder’s Box and a new collection by Fancy Decor for this round of The Liaison Collaborative. All the details of those items and everything used is just below. Hello everyone! Happy Monday and it certainly is as I’m off work today so I’m quite happy. 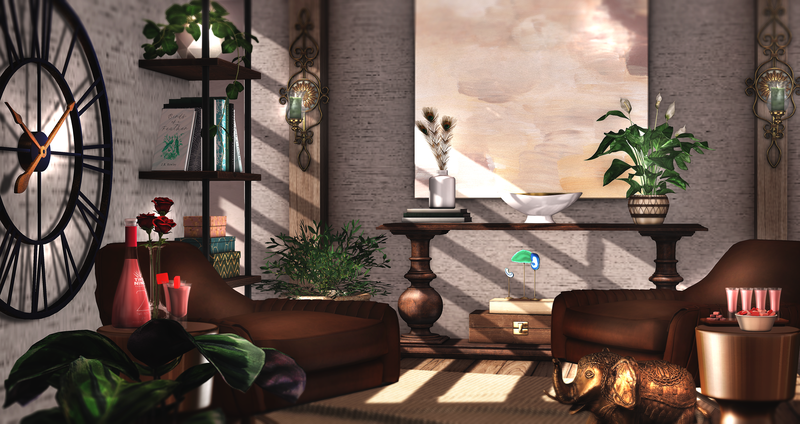 Showcasing decor from all over the grid, so look below for all the details. If you haven’t taken advantage of the Builder’s Box monthly subscription you’re missing out. This month’s box has this awesome alleyway and garage skybox by Schultz Bros., which always delivers on quality. There’s always an opportunity to purchase boxes after they’ve been released, except they cost a little more. Visit the website for more information. Hello everyone! Very little time as yesterday to talk much of anything, so until then I will leave you to enjoy my scene. Morning! I’m in a rush this morning so just enough to wish you all a fantastic Monday and week! Festive Bicycles Red by ..::THOR::..